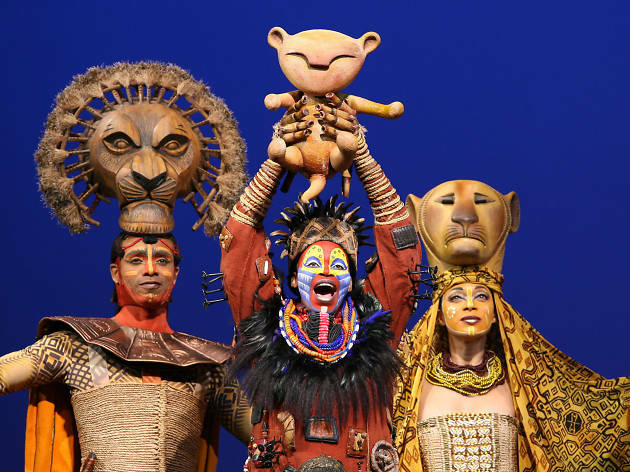 At the start of The Lion King, Broadway director Julie Taymor creates a pageant that instantly transports the audience to a gorgeous world of African imagination unlike anything we've seen in Broadway musicals before or since. As the company sings "The Circle of Life," a procession of beasts parades through the aisles of the Minskoff Theatre: flocks of birds, leaping gazelles, towering giraffes, a lumbering elephant, all rendered thorugh eye-popping puppetry and costumes. Faithfully adapted from Disney's hugely popular 1994 animated movie, about a young lion who must reclaim his kingdom from the clutches of an evil uncle, the musical is one of the best Broadway shows for kids, and there's plenty of slapstick comedy to entertain the littles ones. But this is not just your children's Lion King. The movie's catchy score, by Elton John and Tim Rice, has been augmented with music rooted in proud African traditions, and the production is a stunning celebration of color and movement. No wonder The Lion King has been running for nearly 20 years. Taymor's audacious staging expands a simple cub into the pride of Broadway, not merely a fable of heredity but a celebration of heritage. The Lion King is a musical adapted from the 1994 Disney animated film The Lion King. It features music by Elton John, lyrics by Tim Rice and a book by Roger Allers and Irene Mecchi. It is directed by Julie Taymor. It began previews on October 15, 1997, and opened on November 13, 1997. It is the winner of six 1998 Tony Awards, including Best Musical, and is currently the third-longest-running Broadway musical of all time. Where is The Lion King playing? When does The Lion King play? The Book of Mormon plays eight times a week, on the following schedule: Tuesdays at 7pm; Wednesdays at 2pm and 7pm; Thursdays at 7pm; Fridays at 8pm; Saturdays at 2pm and 8pm; and Sundays at 3pm. 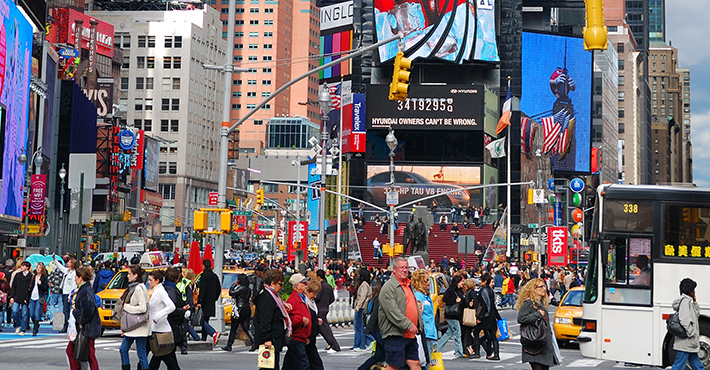 How do I get tickets to The Lion King on Broadway? Tickets to The Lion King are sold online. They can also be purchased by phone (866-870-2717) or in person at the Minskoff Theatre box office. Tickets cost $89–$172, and premium tickets cost $199–$299. A limited number of $30 tickets are also available every day via The Lion King's digital lottery, which can be entered until 9am on the day of the performance. 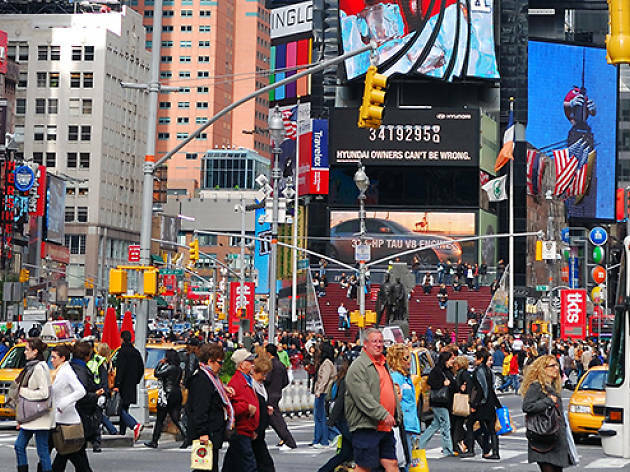 If you're looking to buy last-minute Broadway tickets, you can try your luck at the secondary or resale market. The running time of The Lion King is 2 hours and 40 minutes, with one intermission. 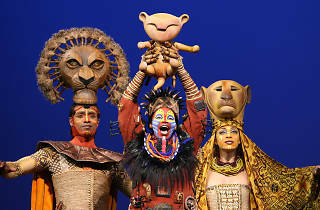 Who is in The Lion King on Broadway? The cast of The Lion King currently includes Gareth Saxe (Scar), L. Steven Taylor (Mufasa), Tshidi Manye (Rafiki), Jeffrey Kuhn (Zazu), Ben Jeffrey (Pumbaa), Fred Berman (Timon), Jelani Remy (Simba) and Chantel Riley (Nala).